Travel Agents Specializing in Disney Vacations Canada. Authorized Disney Vacation Planners ClickTheMouse.ca, A Magical Vacation Is A Click Away! - Travel Agents Specializing in DISNEY Vacations Canada. Authorized Disney Vacation Planner Canada. Disney Cruise Line Vacations. Let us know if you are flexible! Overwhelmed? We offer you Expert Advice. We are not a call centre; we are travel agents with a passion for Disney. ​We offer first-hand knowledge of Disney and have traveled to the places we suggest! We are ALL graduates of The College of Disney Knowledge©. Did you know that over 30% of our team are former Disney﻿ Cast Members? Our service is positively pixie dusted! You will be given your own personal Click The Mouse vacation planner for each package booking. They will provide the best advice and tips, help with your dining reservations and Fastpass+©, and bring it all together in your own personalized itinerary. Who pays us? Disney compensates us, so take advantage of this free Disney perk! Savings. Our Service is FREE. We save you time and money. No long distance fees and your Disney package is delivered FREE to you! We monitor all NEW OFFERS and apply them to existing reservations booked with us! ​"You are amazing. You made our holiday. Our kids loved it. WE loved it. Your business is a Walt-send." "Disney is lucky to have you doing this work"
"Sandra KNOWS Disney...with her professional and enthusiastic expertise, she brought Disney to life"
"If anyone is planning any kind of vacation to any of the Disney properties, I recommend my good pal Sandra to book your trip. ​There is nothing she doesn't know." 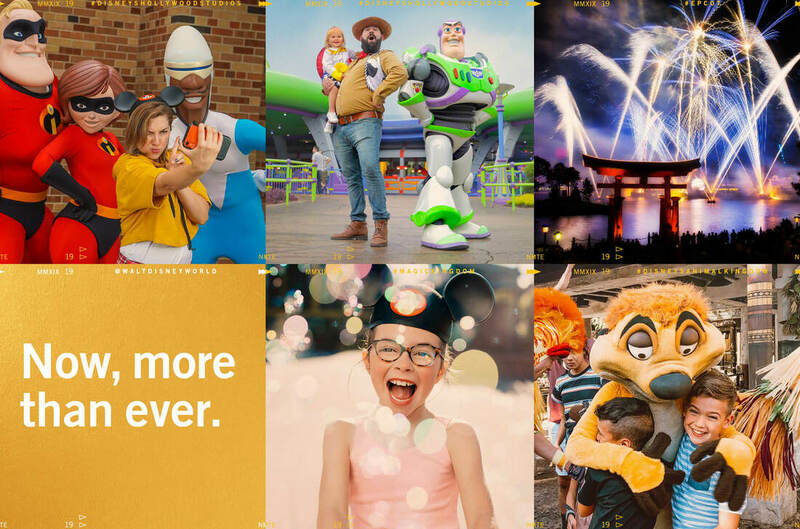 "The force is strong with this company :)"
Click The Mouse is a Travel Agency that plans unforgettable Disney Vacations with agents that specialize in Disney destinations. Click The Mouse offers you FREE vacation planning when you book a Disney package with one of our Travel Agent experts. It can be overwhelming to plan a Disney Vacation with all of the resort, dining, ticket and Fastpass+ options, so let us do the work for you! Whether it's a voyage on the Disney Cruise Line, Adventures By Disney, Hawaiian Vacation at Aulani or Theme Park visit to Walt Disney World Orlando or Disneyland Resort California, we will guide you to the perfect Disney Vacation Package!